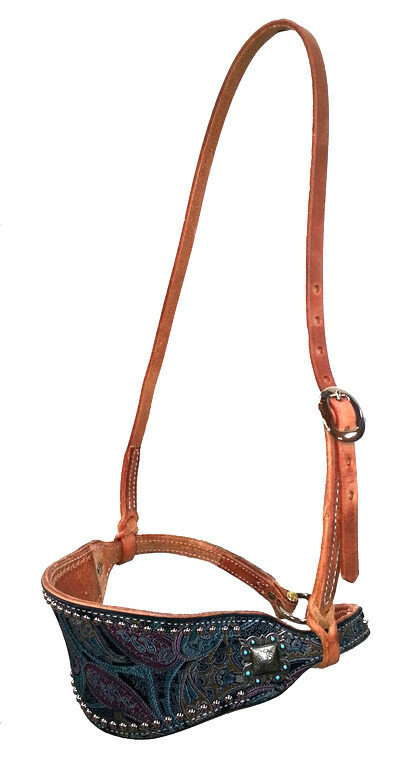 NB3- 1" Harness doubled & stitched noseband with ring & bolt construction. 1" Harness doubled & stitched noseband with brass hardware. Brass loop & ring construction. Overlay nosebands complete the set! 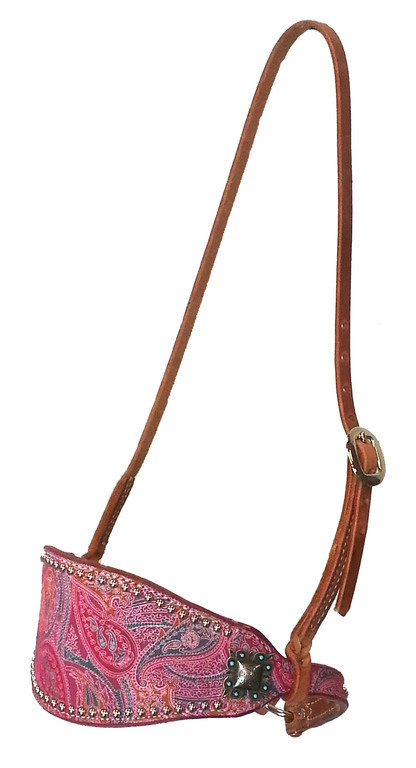 Bronc nose nosebands come in a variety of colors. 4" wide, made out of Hermann Oak harness leather with ring and bolt construction. 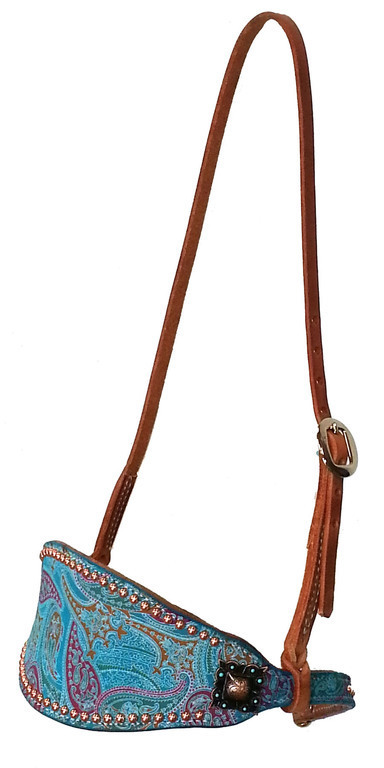 NB3-4BS- 1" harness noseband with buckstitched roughout overlay in choice of white, turquoise, black, red, or whiskey brown lace color. Brass hardware. 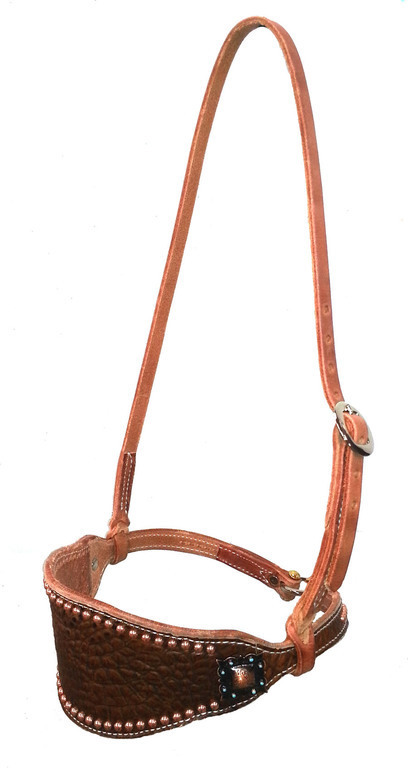 Rope noseband with leather crown. NP hardware.